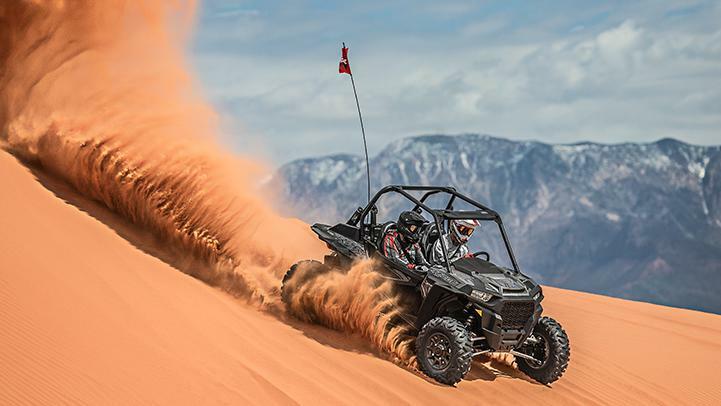 The 2017 RZR XP Turbo EPS raises the bar with 168 hp. The four passenger RZR XP 4 Turbo EPS. Comment: The horsepower battles continue as Can-Am recently released their Maverick X3 with a 154 hp turbocharged engine. While the battle is most prevalent in the sport/high performance segment, it is prominent in other segments as well. One question is if there is a limit to how much horsepower can be put into these vehicles given the terrain and type of riding for which they are used. 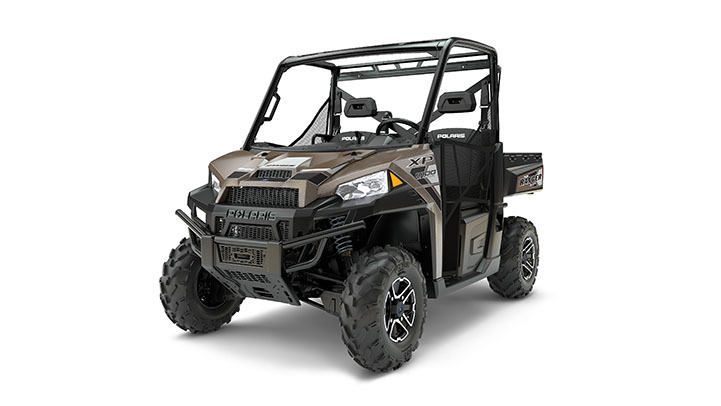 The Ranger XP 900 EPS White Lightning is a part of another large Polaris recall that include three-passenger and crew versions of the 2014 Ranger 900 models. 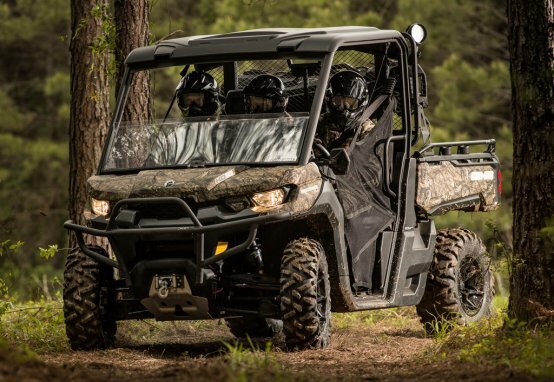 On the heels of a string of large recalls of UTVs, Polaris Industries has issued a recall of approximately 42,500 model year 2014 Ranger 900 vehicles. The heat shield on the vehicle can fall off and create fire and burn hazards to riders. 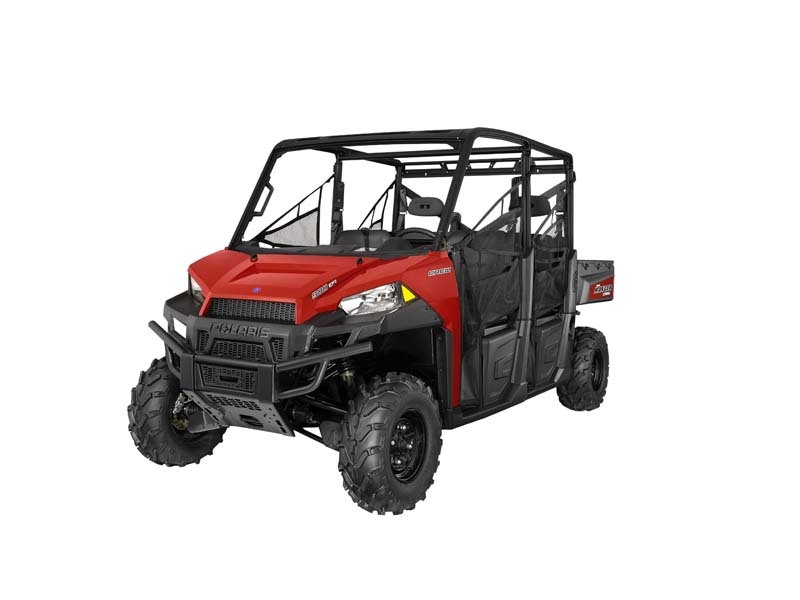 The recall includes Ranger XP 900, Ranger XP 900 EPS and Ranger Crew 900 vehicles, which come in various colors. The following information is from the Consumer Products Safety Commission. Description: This recall involves all model year 2014 Polaris Ranger XP 900, XP 900 EPS, and CREW 900 recreational off-highway vehicles (ROVs). The recalled ROVs were sold in a variety of colors and have either three or six seats and a rear box. “Ranger” is printed on the rear box, and “900” is printed on the hood of the ROVs. All 2014 Ranger 900 models and Vehicle Identification Numbers (VINs) are included in this recall. To check for recalled vehicles by VIN, visit www.polaris.com. Incidents/Injuries: Polaris has received 36 reports of the recalled ROVs overheating and catching on fire, including reports of three minor burns and one sprained wrist. Remedy: Consumers should immediately stop using the recalled ROVs and contact Polaris to schedule a free repair. Polaris is contacting all known purchasers directly. Sold at: Polaris dealers nationwide from April 2013 through June 2014 for between $13,200 and $16,200. Comment: Polaris just lowered their financial guidance for the rest of the fiscal year because of existing recall issues and I’m sure this won’t help the situation. I think the larger issue with these recent recalls is that they potentially point to an underlying design flaw in the vehicles. In turn, this may reveal an underlying problem in their product development process that allowed the design issue to make it into production. In the long term the sheer number of vehicles and recalls could have a negative impact on the brand. 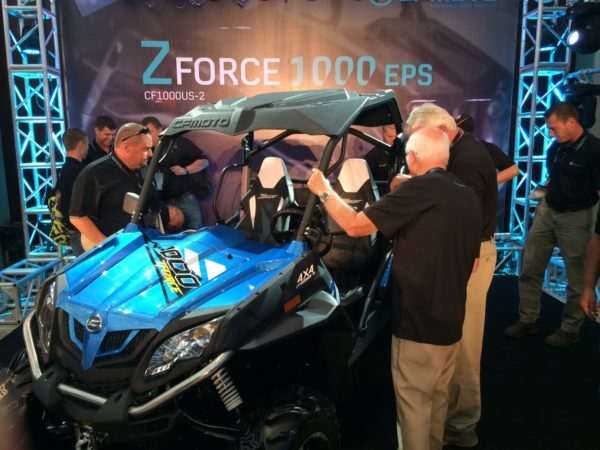 In the short and medium term, depending on how long it takes to clean up the problem in the product development process, there may be an impact on the rate of new vehicle introductions by Polaris. This has been a competitive advantage for Polaris as they produce a large range of vehicles in terms of price points and feature sets. Management frequently refers to their “armada” of models. This is important in the UTV market where an extensive and differentiated product line can target a diverse range of end use applications at a range of price points. 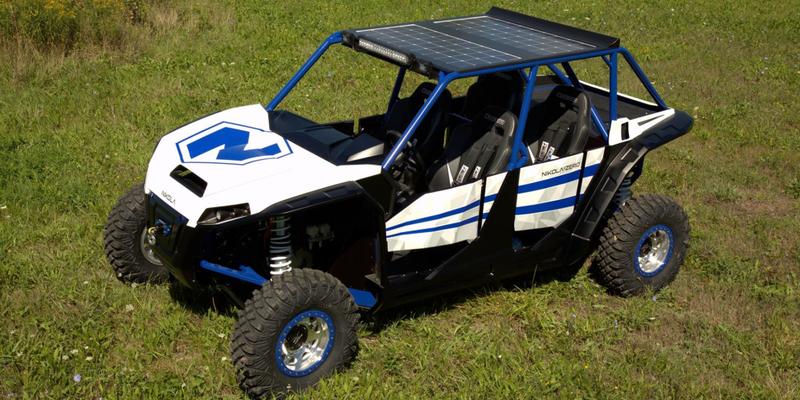 A prototype of the Nikola Zero all electric UTV from Nikola Motor. 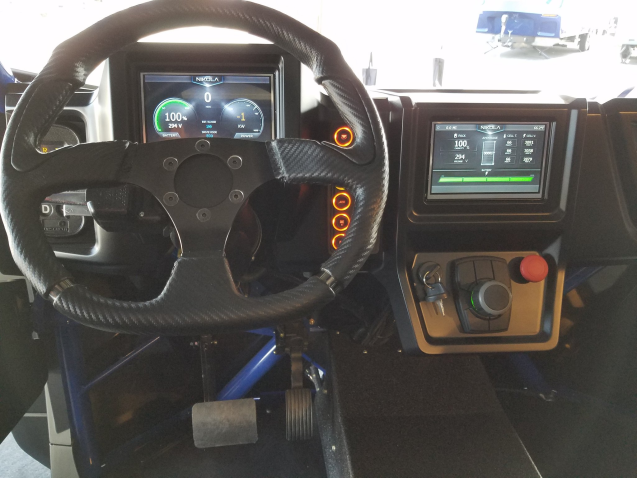 A view of the Nikola Zero cockpit. Comment: From the pictures, the Nikola Zero appears to also have solar panels on the roof. At 72kWh the battery pack for the Nikola Zero is very large. By comparison the Ranger EV Li-Ion battery pack features a 30v 8.3 kWh battery and a 15v 4.1 kWh battery. The price point also seems to be on the low side given the size of the battery pack. The Ranger EV Li-Ion with a much smaller battery pack sell for a $11,700 premium over their standard Ranger EV. Given that high performance UTVs sell for $25,000 or more, the price premium of a similar vehicle with a large lithium ion battery pack should place the Nikola Zero at a price point well above $37,000. It will be interesting to see if the vehicle can make it to market. In any case, the vehicle is another indication of a continuing trend of electric UTVs being purposefully built for more demanding applications and uses other than hunting. 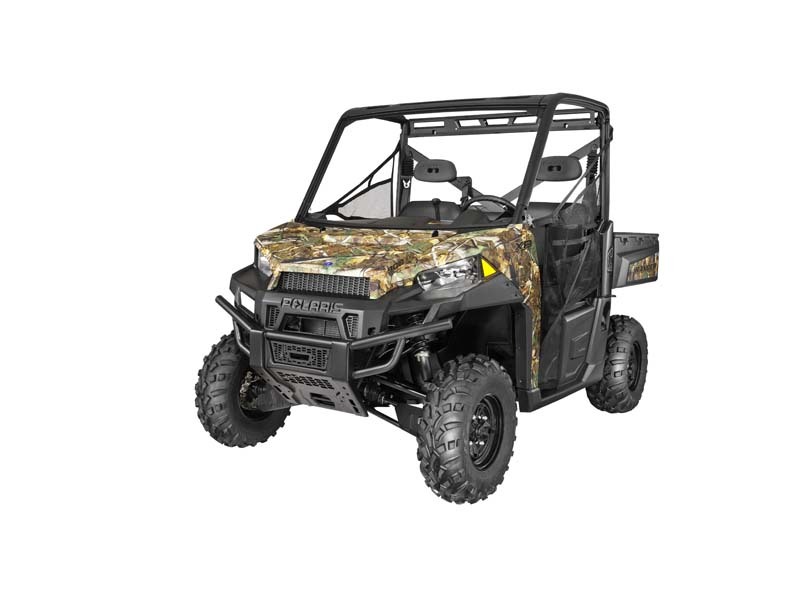 Models from BRP’s Can-Am Defender product line, like the Mossy Oak Hunting Edition shown here, helped increase their market share in the utility UTV segment and drive revenue in BRP’s Year-Round products unit. 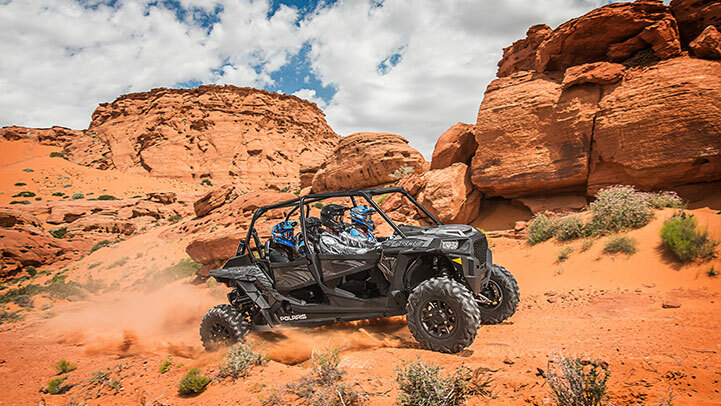 BRP, maker of Can-Am side-by-sides, recently announced their second quarter financial results for fiscal year 2017. The quarter ended July 31, 2016 and the year ends January 31, 2017. Management reported revenues for the quarter to $856.1 million, an increase of 5.4% year over year. The increase was driven by higher wholesale in Year-Round Products, which includes ATVs, UTVs and the Spyder, and favorable exchange rates. Revenue from Year-Round products jumped 9% form $298.4 million to $326.3 million for the quarter. Gross profit increased 1.5% from $169.4 million to $172.0 million. For the first six months of the fiscal year revenue for Year-Round products increased from $696.5 million to $726.5 million. The following are some highlights from the earnings call related to the UTV market. 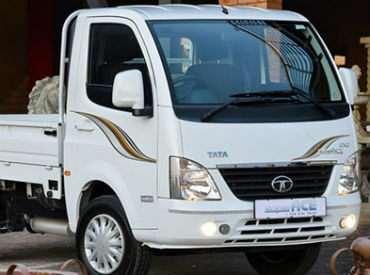 Tata Motors has launched their SuperAce mini-truck in Vietnam. Tata Motors, with their partner TMT Motors, have launched the Tata SuperAce mini-truck in Vietnam. The SuperAce is positioned as a versatile replacement for a small pick-up truck. The vehicle has a one ton payload and comes with either a diesel or gas engine and has a top speed of 130 km per hour. The vehicle can be used for inter or intra-city transport and for a wide range of goods including construction material, produce and consumer goods. According to Tata Motors management, “Through our partnership with TMT Motors, we are committed to shaping the commercial vehicles industry here and are determined to build a long-lasting relationship with the customer for competitive business advantages and the trusted credentials of the Tata Motors brand,”. Tata Motors sees a lot of potential in the fast growing Vietnamese economy and announced their intention to enter the market last year. Comment: While not as popular in the US market, in Southeast Asia and in other countries mini-trucks are quite popular. They are integral for delivering goods in the hub and spoke system employed in these countries. The small-sized trucks can more easily maneuver in crowded and narrow city streets to deliver goods the “last mile” from large distribution centers. In the US they can be seen on farms and are usually imported used vehicles. With their top speeds mini-trucks don’t meet the safety standards for full on-road use in the US and are too fast too be considered low speed vehicles. Approximately 20 states allow mini-trucks on roads where it is locally permitted. Depending on the state mini-trucks are not allowed on highways or, in some cases, not allowed on roads with speed limits above 35 mph. Vantage Vehicle International offers vehicles that are mini-truck like in styling but are configured as LSVs. While the growth of the small, task-oriented vehicle market (STOV) may not be as strong as a few years ago, the proliferation of new models since the beginning of the year indicate a competitive and still growing market. The STOV market includes utility vehicles(UTVs)/side-by-sides, golf cars and LSVs. UTVs make up the largest share of the STOV market and not surprisingly that is where much of the action is. The UTV segment is also where much of the growth opportunity is as well. 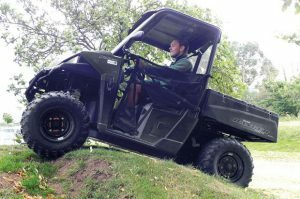 A review of over 25 brands and product lines including all of the major players in the UTV market, as well as smaller ones, shows that approximately 80 new models were launched since the end of 2015. These have included completely new entrants, product line extensions, special edition models customized for specific applications and product line upgrades. 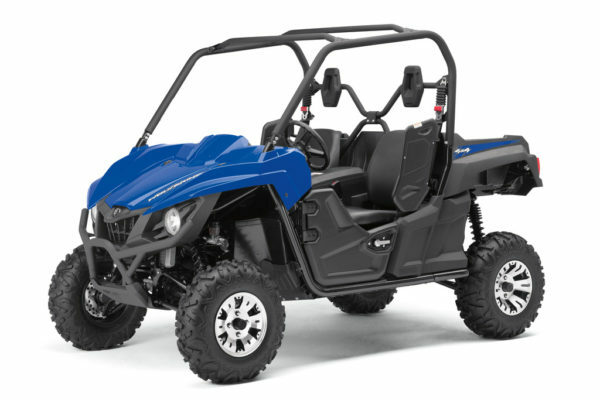 Yamaha continues to build out their UTV line with models like the 2017 Wolverine EPS. A major factor in this large number of new models has been the re-entry of established powersports brands into the market over the last several years. For example, Honda after being somewhat dormant after their Big Red UTVs pursued the market with their Pioneer line. 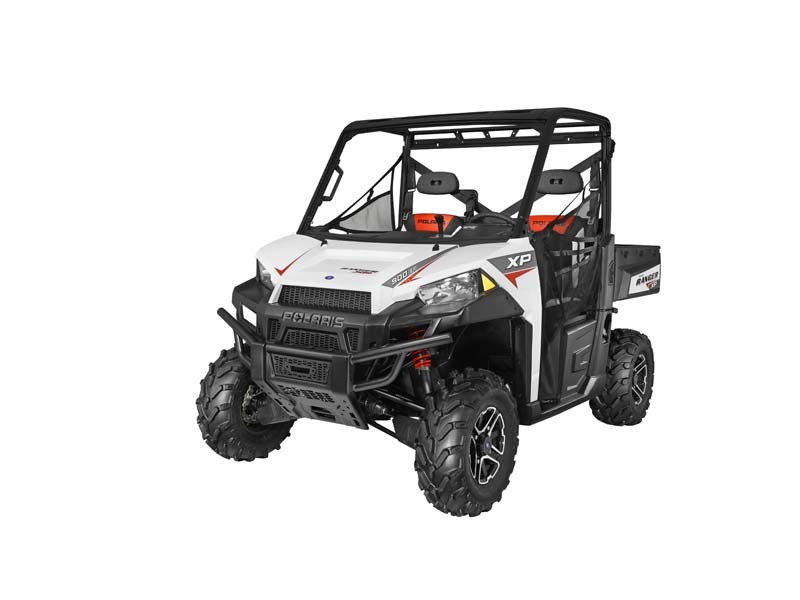 Meanwhile Yamaha had built out the work oriented Viking line, the Wolverine crossover line and more recently attacked the pure recreational/sport segment with their YXZ line. 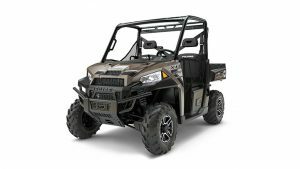 The Ranger XP 1000 EPS in Nara Bronze features more horsepower than the XP 900. An analysis of recent model introductions illuminates important trends in the market including the continued push for higher horsepower vehicles, targeting ‘value’ buyers with lower price point models, developing models with accessory packages for specialized applications, and shifts in the electric UTV segment. These trends and others are discussed in an article a I recently posted in our buying guide section. Horticulture Week out of the UK features a comparison of the Polaris Ranger 570 to the Kubota RTV-X900 by several testers as they put the vehicles through their paces on varied terrain that included fields, college grounds and a quad bike training facility with steep hills. The three testers included a groundskeeper, gardener and forester. As is noted in the review, the vehicles are both UTVs but quite different with the diesel powered Kubota geared more towards heavy duty work and the Ranger providing more speed. Some key specifications for comparison. Cargo Capacity 1,102 lbs. 1,000 lbs. Towing Capacity 2,204 lbs. 1,500 lbs. In general the Kubota received positive reviews. Most noticeable is the speed of the vehicle, a result of the 44 hp ProStar engine. One tester easily reached 80 km/hr. Seat belt sensors that govern the vehicle’s speed until the seats belts are engaged was a well received feature. Good for use in applications that requires the operator to cover a large area where its’ speed could save time. A good replacement for quads on farms and such where more hauling capability and/or the ability to carry a passenger is needed. In general the Ranger received positive reviews as well. The most important determinant in choosing one vehicle over the other would be how the vehicle would be used. If you have heavy duty hauling in difficult terrain but in a more limited area then the Kubota would be more appropriate. If you need to use a vehicle over a wider range and with not as much heavy duty hauling then the Ranger would be the best.